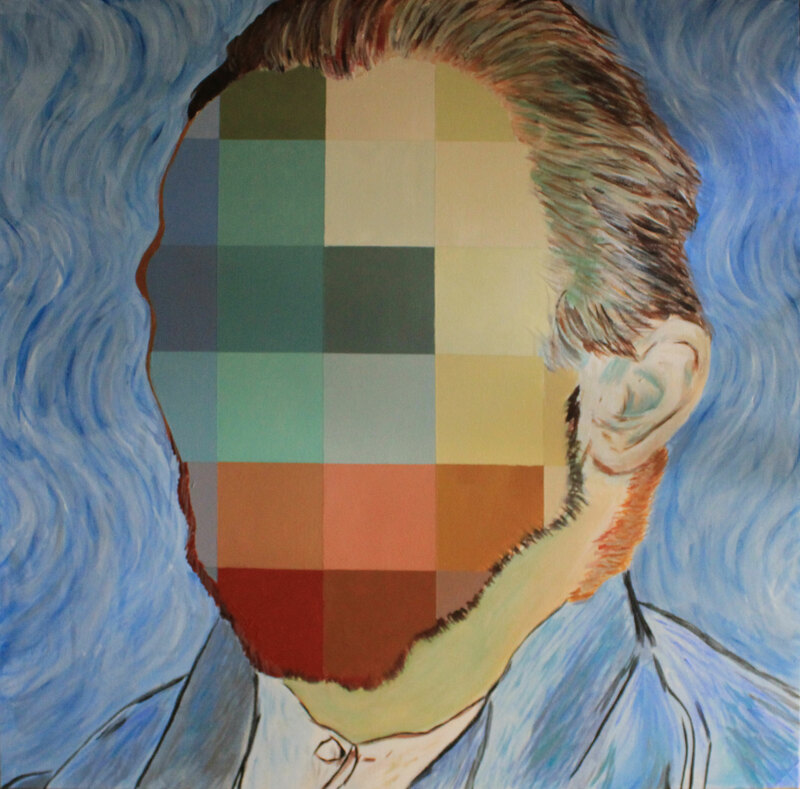 My series, Self Portraits, is my reaction to hard edge and post painterly abstraction and appropriation. 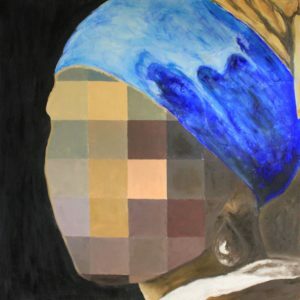 In the year it took to do the series,it morphed from an exercise in studying master artists’ techniques and motifs into realizing that I was purposefully aping these iconic works in hopes that I could somehow impress myself upon them – or into them. 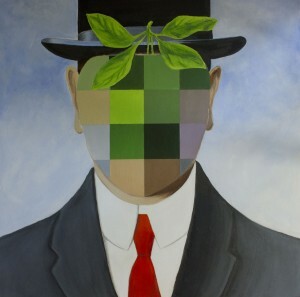 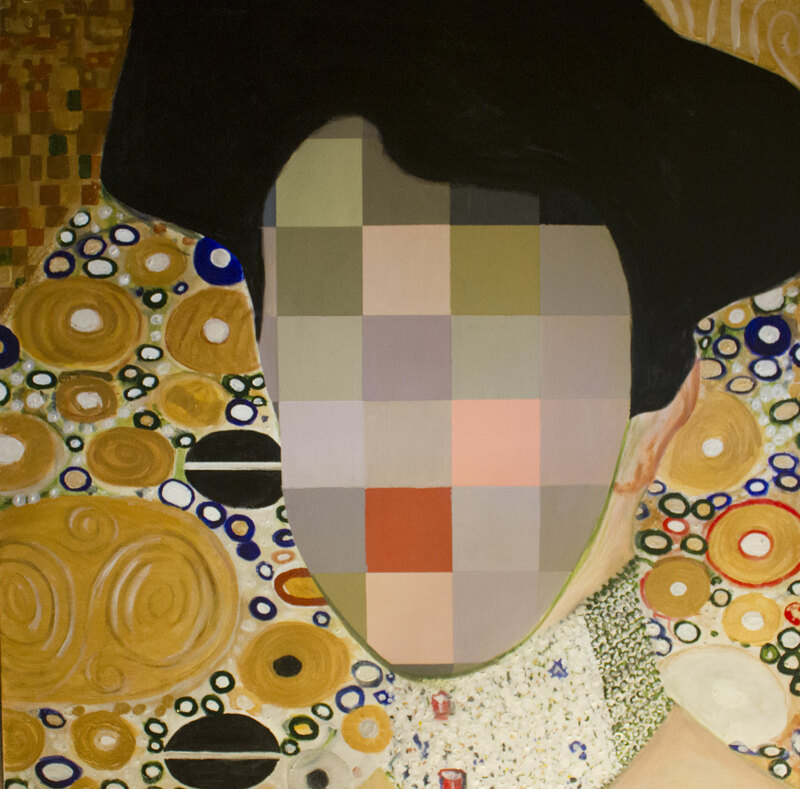 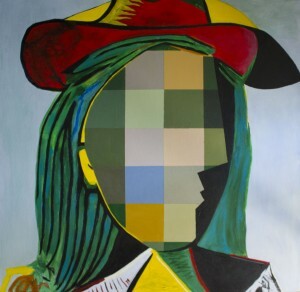 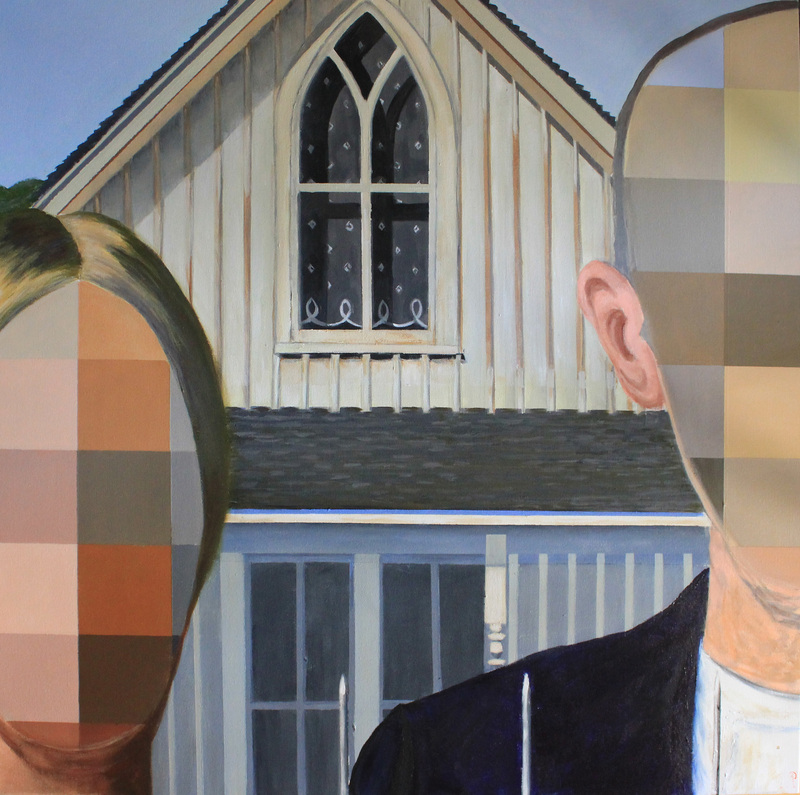 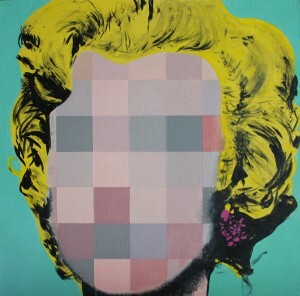 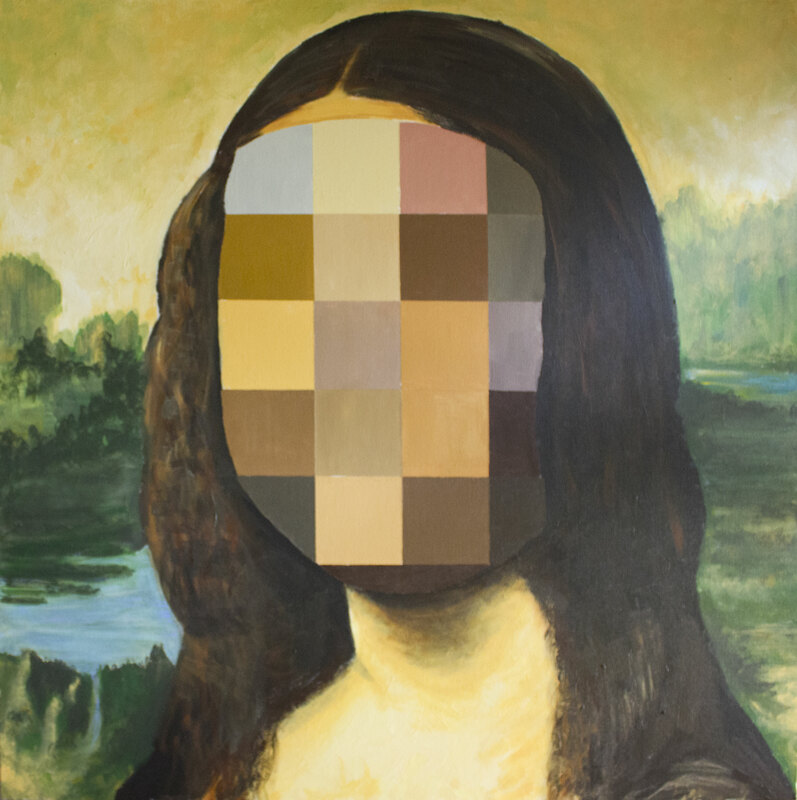 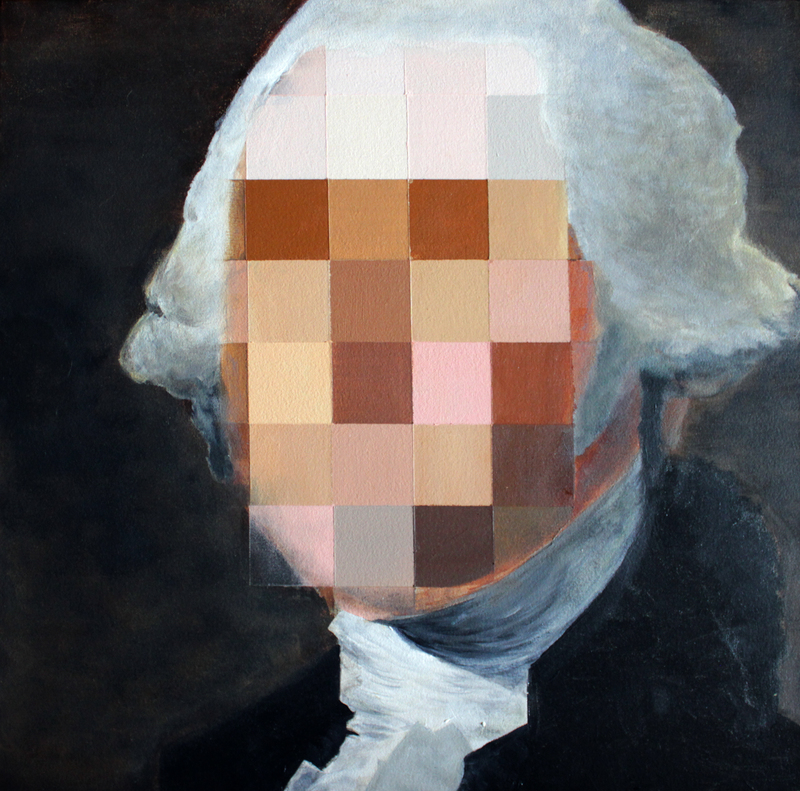 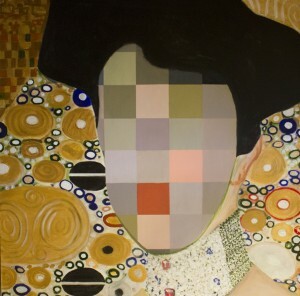 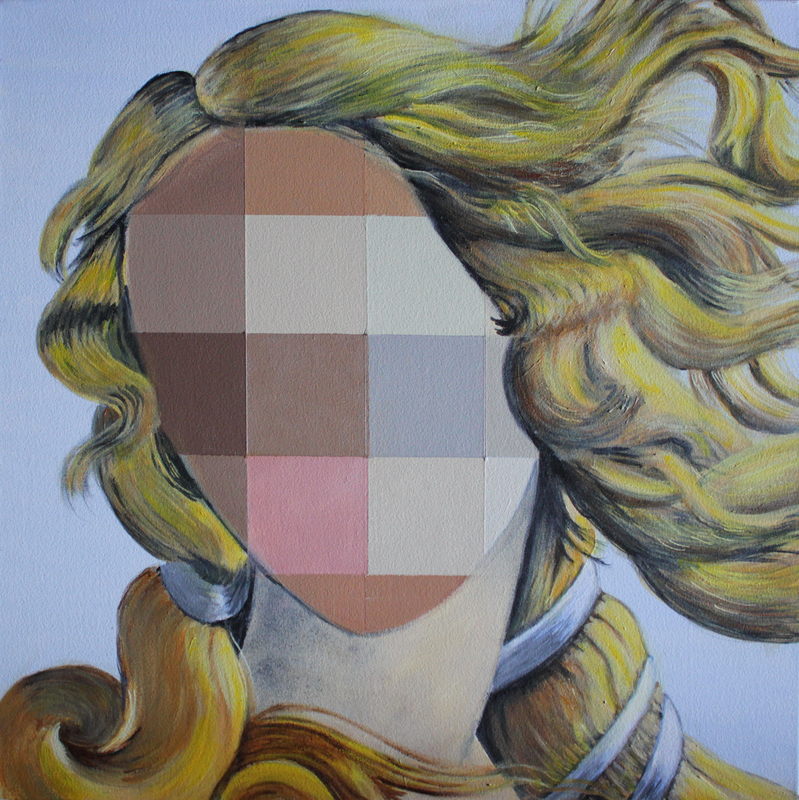 The hard-edged anonymity of the subjects serve as an apt representation of this forced impression. Clearly unrecognizable, seriously out-of-place, lacking in detail or depth in arguably the most important parts of the original works, these crude approximations serve as clear and current representation of an emerging artist’s portrait versus a master’s.